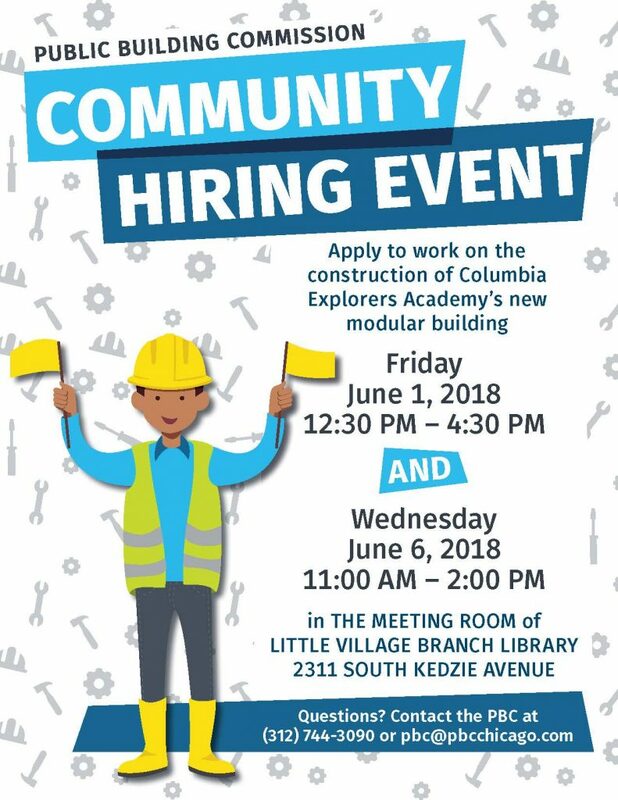 Community Hiring Event: Apply to work on the construction of Columbia Explorers Academy’s new modular classroom building. View the Columbia Explorers Academy Modular project page. View this event’s flyer here.